Though we were not involved in this year’s electoral cycle, the STRATEGEUM team salutes the elected officials of the outgoing National Constituents Assembly and its President, Dr. Mustapha Ben Jaafar, who, while carrying out the transition from the streets to the institutions, gave birth to a new, democratic, Tunisia. They will forever be the, sometimes unsung, heros who wrote History. 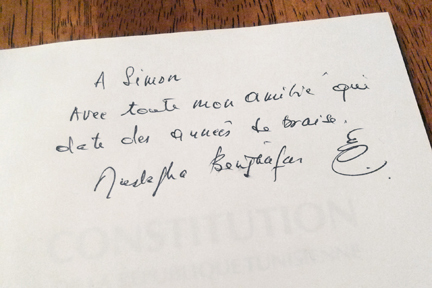 Picture: The personalized inscription in a copy of the Tunisian Constitution by Dr. Mustapha Ben Jaafar, President of the National Constituents Assembly, for Simon Lafrance, Managing Partner of STRATEGEUM (Translation: To Simon, with all my friendship which dates back to the years of fire. 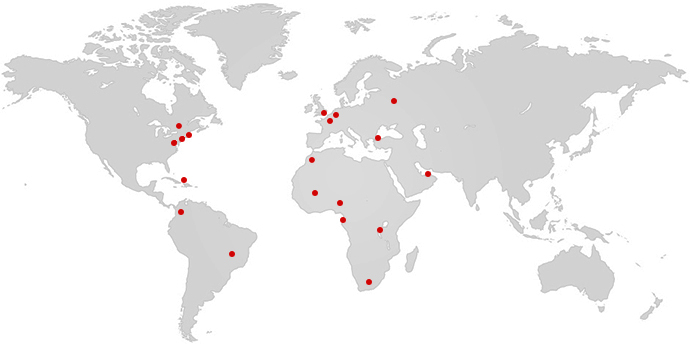 MBJ).